For those of you who don’t know it, it is International Scone Week! This is a week of scone baking and making, and eating, hosted by the wonderful Celia. Celia sent me my sourdough starter and I have had an amazing amount of fun making using it not only for bread but for muffins and brownies as well. I have been perfecting a recipe to use in my bread maker and I can report back that it works amazingly well. When I realized it was scone week I decided straight away to use Cordelia to make my scones. Last year I made scones for the first time using James Martin’s Recipe. Using his recipe as a base, I created these sourdough scones. They worked out really well, and I must confess that I ate half of them in one go. I used the last of my jam on the first one, and ate the second one plain. The third one I had with a little bit of butter. They have a lovely texture, and a slight hint of salt. They were so easy to make that I could do a batch every weekend, if the waist line would not complain! We love the slight tang of sourdough, when I saw your recipe I thouht of serving them with a hearty stew and a generous pad of butter. Then again, tea and jam sound good too! How adventurous you are using the sourdough. I have never tried using a starter. I hope one day to make the plunge. I’m sure they are delicious! I love scones and am intrigued at the thought of using sourdough to make them…lovely looking scones there! Your scones look really good. Interesting use of sourdough- I think I’ll give these a try. Sourdough scone? This is new to me…looks awesome Tandy. Thank you Juliana, and hope you have a great week as well! I love how flaky they look, Tandy! hehe happy scone week Tandy! I’ve never thought to make sourdough scones but they make total sense! Were they very different to baking powder scones? I had no idea it was ISW! 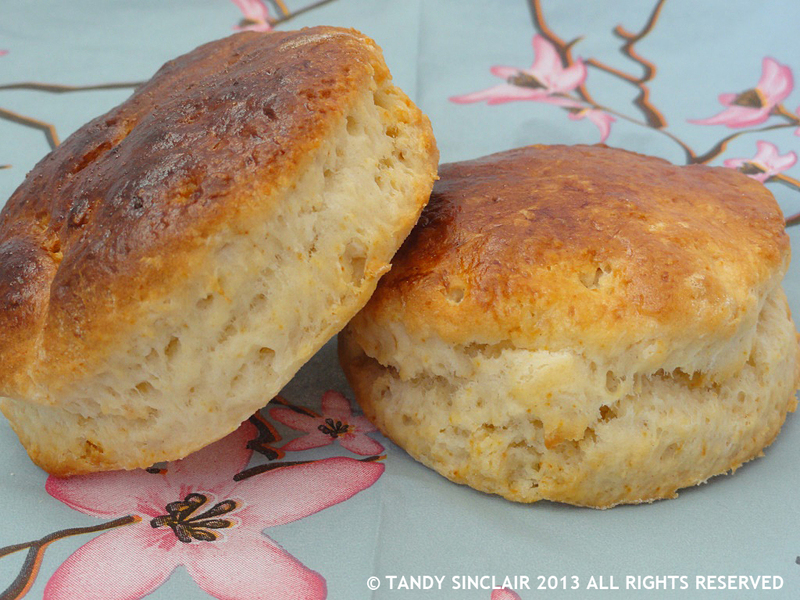 I love scones – and they are such a nice treat to offer guests, even at really short notice. I love your recipe today! Thanks Kate, and nothing beats scones with clotted cream! These must have such great flavor!! I need to get cracking on a recipe for Scone week. Yours look fabulous Tandy. I’m sure the sourdough made the scones irresistibly good. that sums them up perfectly! Tandy, lovely recipe… interesting that you have used fructose.